Hawk Mama's stomach is a formidable defense against demon magic! Derieri had some some human souls for a snack, so that means it's nap time, whether it's on Monspeet's lap or not. 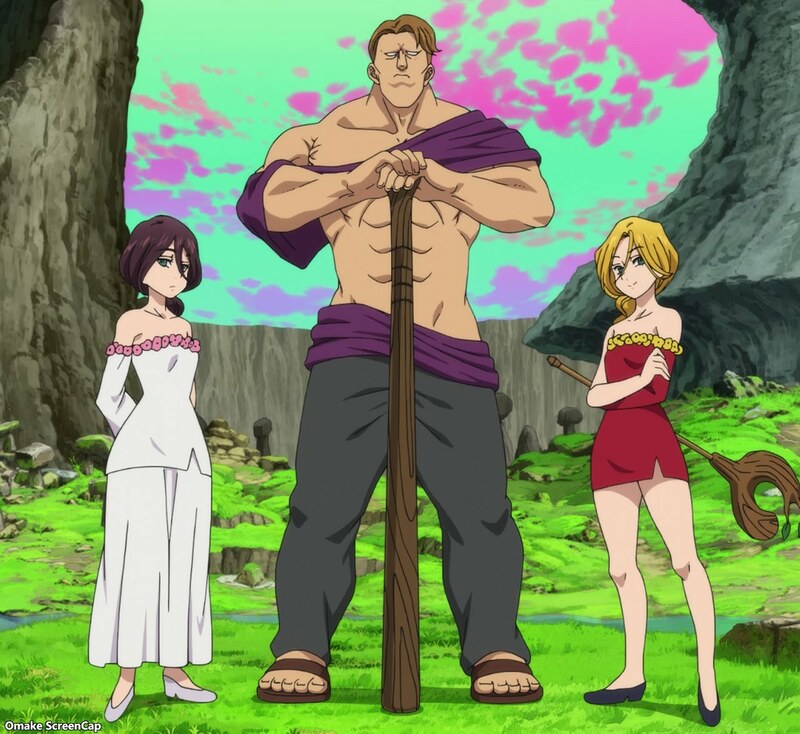 The trial for Meliodas to retrieve his demonic power involves his lost love Liz.